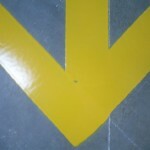 Big box facilities will find many benefits from trueline’s warehouse floor marking and striping services. These benefits mainly include increased staging space and organization for pallets and product, along with employee safety for meeting OSHA standards. 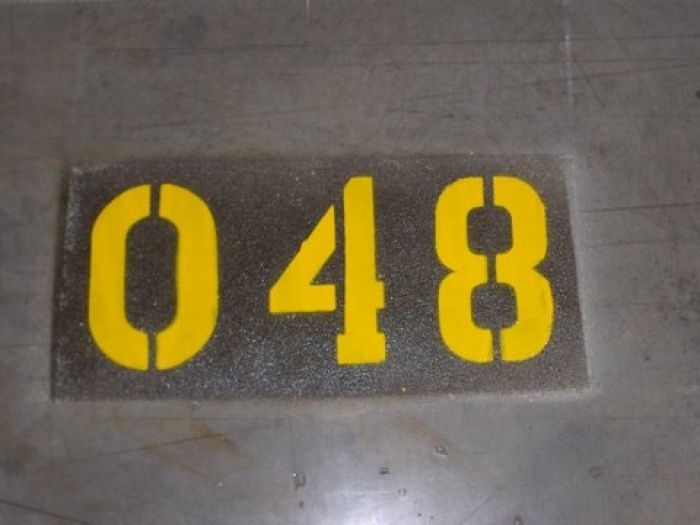 In some cases we have seen our customers gain as much as 30 percent more use of their warehouse floor because of the warehouse floor marking and striping installed. 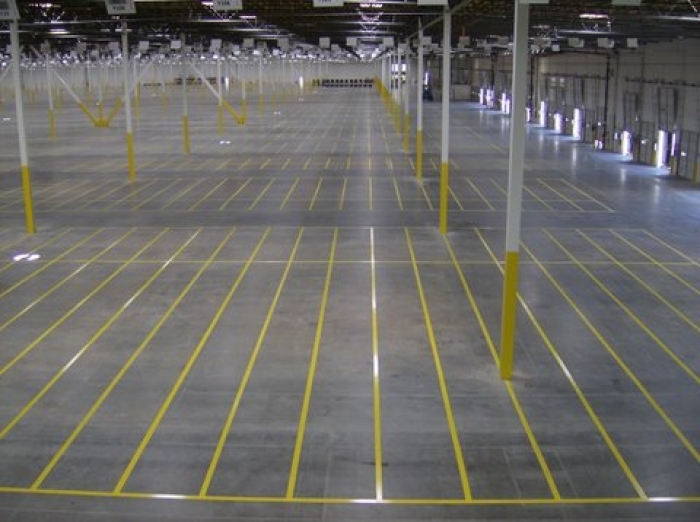 Furthermore, Trueline can help with the implementation of your 5S systems for organizing your warehouse. With added services such as sign hanging, iron angle installations, and barcode installations we can help you install your systems very quickly. 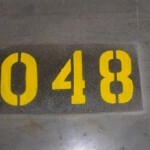 Marking and striping your warehouse floor requires good communication and execution. 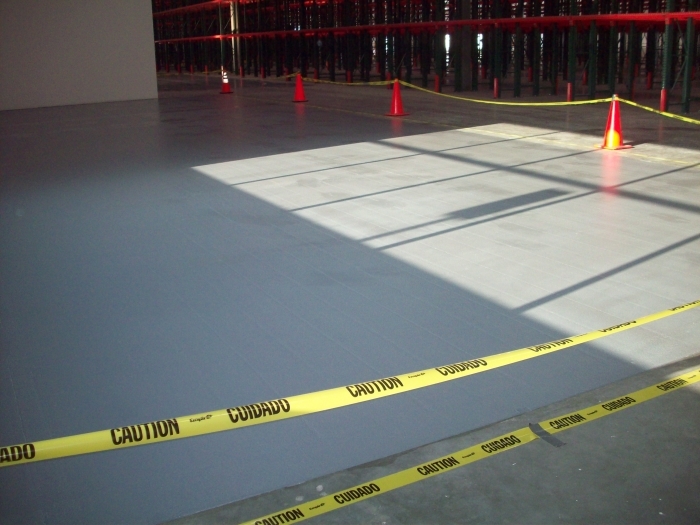 Here at Trueline, we specialize in using two component epoxies and urethane products, which are very durable and will last for many years if maintained. These products have required dry times and at Trueline we know exactly what can and cannot be done in terms of your windows of work opportunity. 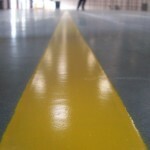 Better said, we won’t leave you with a floor of wet epoxy on a Monday morning. 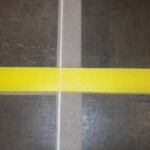 If the paint does not receive the proper time to cure or is not properly maintained the probability of the areas scuffing or becoming damaged are highly increased. Also try to be mindful of broken pallets and loose debris on your warehouse floor. 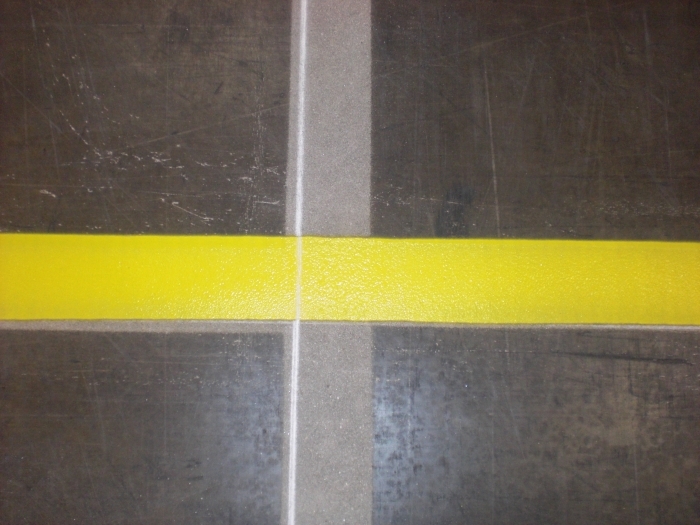 Often times a forklift dragging a pallet with a nail sticking out of the bottom can cause large scrapes across freshly painted lines. 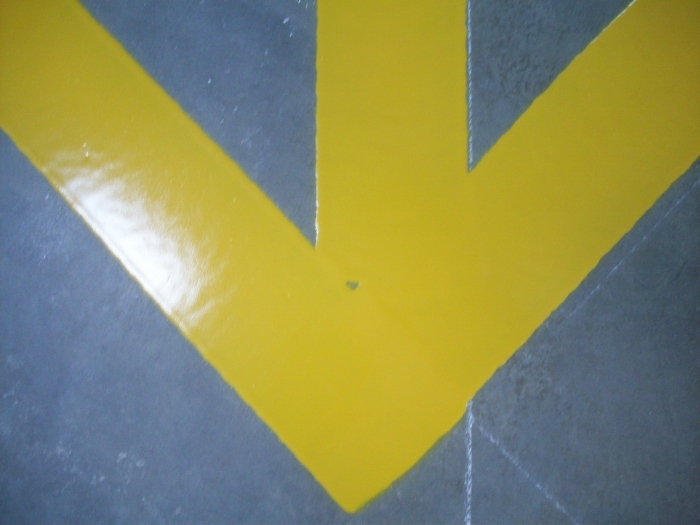 For an even better finish on the newly painted lines you may consider a second coat of paint or a top coat of concrete sealer. 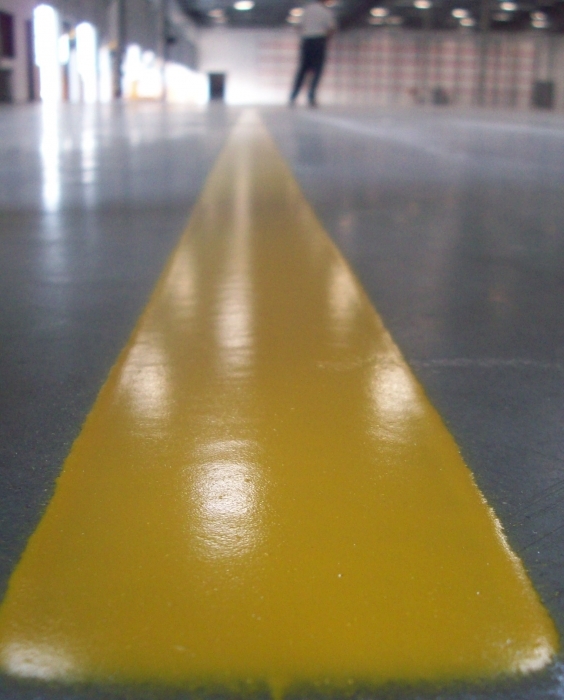 The life span of the warehouse striping paint product will increase by consistently cleaning the surface of all debris with a cleaning agent, or degreaser, and hot water. 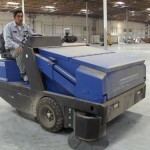 The painted areas may be cleaned manually or with a mechanical sweeper. 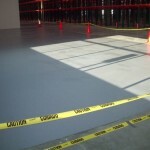 It is not uncommon for the floors we paint to last over 10 years with proper maintenance. 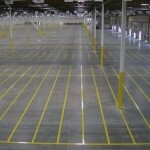 Trueline currently has limited national warehouse and floor striping service capabilities. 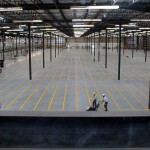 If you have a project in the planning stage, please feel free to contact us with your scope of work. In many cases we can be a competitive choice versus a local contractor. 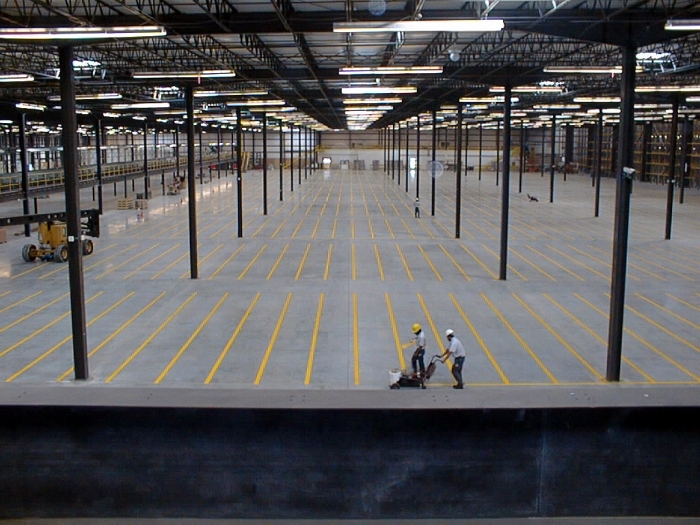 Or if there is no local warehouse line painting contractor available, we have the experience to get your project done correctly and on time. 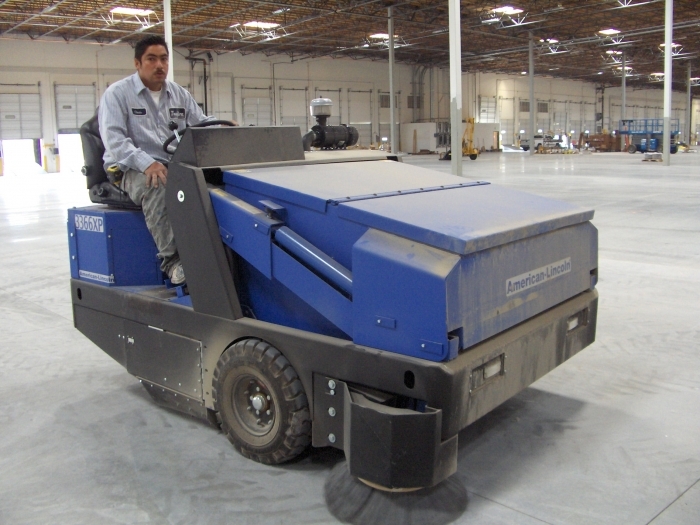 If you have multiple locations that need new warehouse floor striping or just warehouse floor striping maintenance done we can help there as well. Please feel free to use this pdf here for presentation information about our process.